Nanotechnology is a megatrend which will match or surpass the digital revolution’s effect of science on the economy. But there are funding gaps. That’s the view of participants in a strategic forum held by the US Government Accountability Office (GAO). 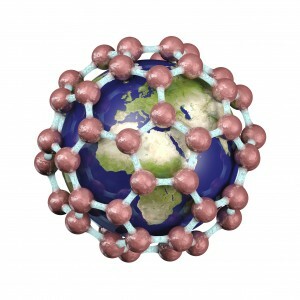 What are future nanotech developments? How big will they be? Are the US R&D investments in nanomanufacturing sufficient? What effect will nanotechnology have on the environment, our health and safety? Those were the questions nano experts addressed in a strategic forum held by the US Government Accountability Office (GAO). The report, Nanomanufacturing: Emergence and Implications for U.S. Competitiveness, the Environment and Human Health, is the result. Members of the forum anticipate further scientific breakthroughs that will fuel new engineering developments and more intense international competition. Although limited data on international investments made comparisons difficult, participants see the US as likely to lead in nanotechnology research and development (R&D). Challenges to US competitiveness in nanomanufacturing include inadequate US participation and leadership in international standard setting; the lack of a national vision for a US nanomanufacturing capability; and the actions of competitor nations. According to a participant, some ‘were playing by new rules’. There are funding or investment gaps in the United States which could hamper innovators’ attempts to transition nanotechnology from R&D to full-scale manufacturing. The Forum suggests three approaches to address these challenges: strengthen US innovation by updating current innovation-related policies and programs; promote US innovation in manufacturing in public-private partnerships; and design a strategy for attaining a holistic vision for U.S. nanomanufacturing. Significant research is needed to understand the risks associated with nanomaterials and multiple participants advocated a collaborative effort, in which nanotechnology stakeholders develop standards for measurement and nomenclature, to help assess and address environmental health and safety (EHS) risks. Nanomanufacturing Emergence and Implications for U.S. Competitiveness, the Environment, and Human Health. Highlights of a forum Convened by the Comptroller General of the United States GAO-14-181SP Jan 2014. The U.S. Government Accountability Office (GAO) is an independent, nonpartisan agency that works for Congress. Often called the ‘congressional watchdog,’ GAO investigates how the federal government spends taxpayer dollars. The head of GAO, the Comptroller General of the United States, is appointed to a 15-year term by the President from a slate of candidates Congress proposes.